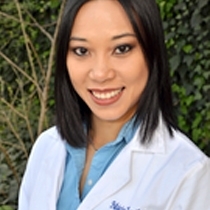 Licensed acupuncturist Patricia Lew is a graduate of the Texas College of Traditional Chinese Medicine and specializes in emotional disorders, anxiety, insomnia, weight loss, pain management and facial rejuvenation. Patricia is skilled in treating allergies, chronic pain, weight issues, substance addictions and can also perform facial rejuvenation. She says her goal is to educate her clients about the benefits of Chinese medicine by providing customized, high-quality health care and cosmetic services.